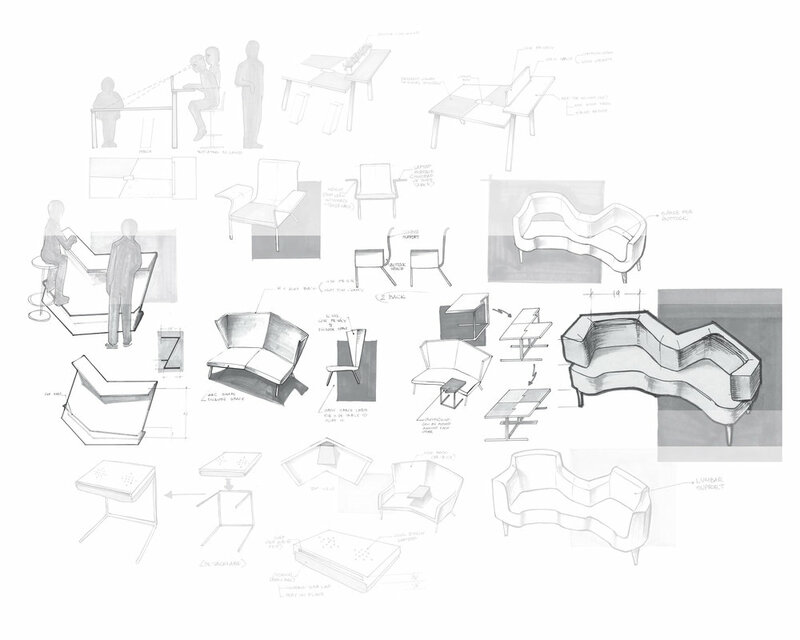 Posture is one of the designs produced from a collaborative project between Davis Furniture and students from the Savannah College of Art and Design (SCAD). The goal was to design pieces of furniture that specifically encouraged collaborative activities between people within any given space, while accurately conveying the Davis Furniture brand aesthetic. The observation was made on HOW, WHEN and WHERE people collaborate. In most settings, especially in the absence of the furniture, people naturally arrange themselves to either CIRCULAR or SEMI-CIRCULAR form. Always looking to the future of work environments and how we can offer cutting-edge products with innovative design, function, and aesthetics that make the workplace more appealing. 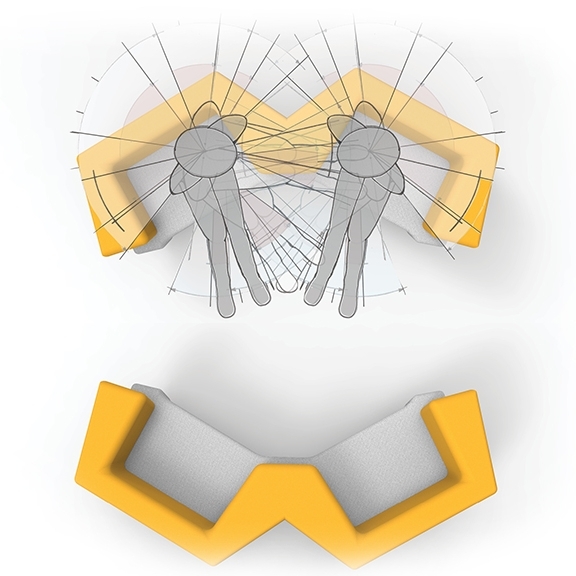 Based on Ergonomic Study, the key figure shows the ranges of head, shoulder, and eye rotation, from easy to maximum. 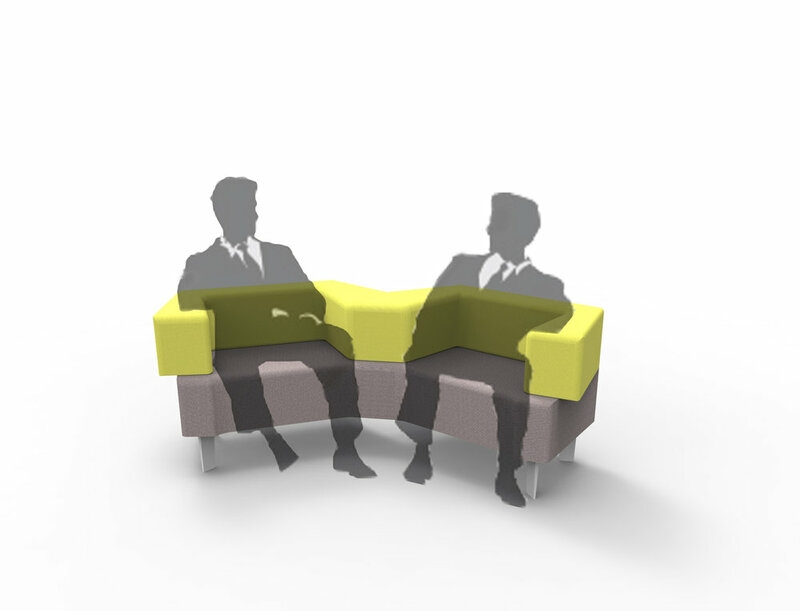 The intent is to explore the right dimensions and angles that support comfortable interaction. Arranging the figures next to each other to find the distance and leg-space that are relaxing enough but still encourage conversation. One of the most important features of Posture is the armrest which is extremely versatile. At 10.5" height, it is comfortable enough for lumbar support and arm resting, as well as for encouraging upright postures - suitable for quick meeting and group working. The height is also appropriate for writing, note taking and using electronic devices (laptop, iPad, tablets...). 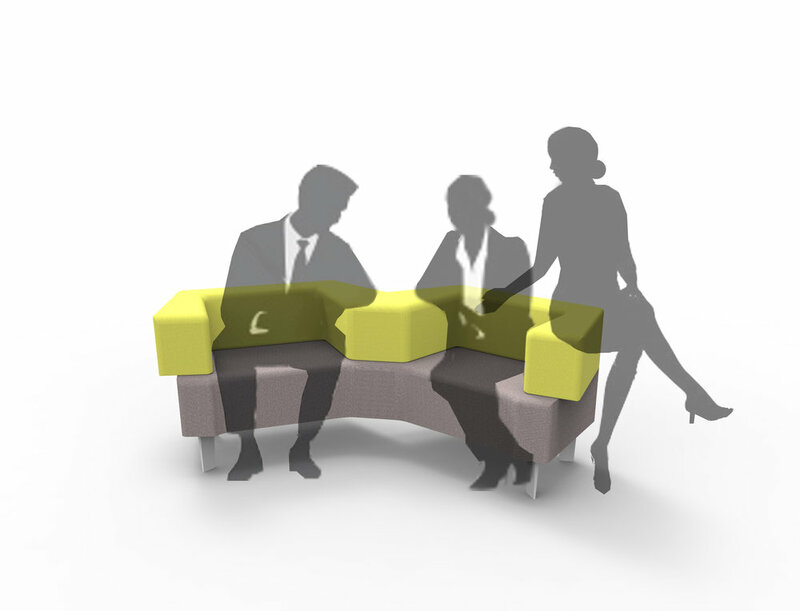 Additionally, the armrest is in the form of a U shape (not a V shape) from the top view to support collaborative process - the users do not have to lean outward to take note or use any device. The name Posture comes from its function of supporting proxemic behavior on interpersonal communication. 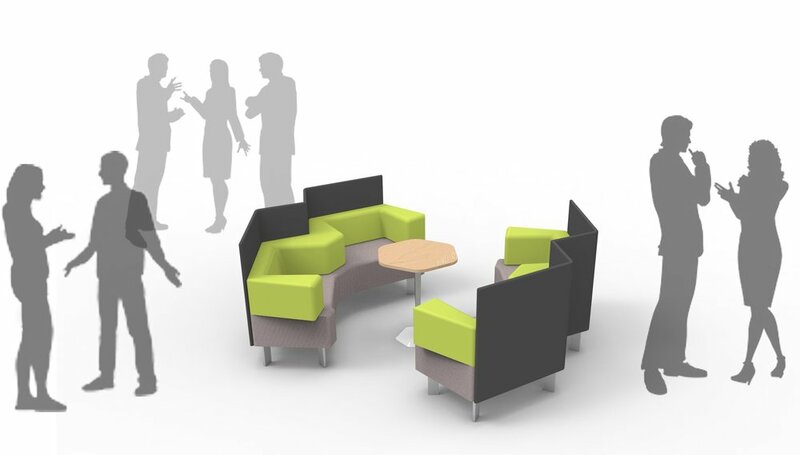 It provides flexibility in choices of collaborative postures based on the levels of comfort between the users and their types of collaborative activities. According to research, the backrest should be at least at shoulder's height in order to avoid people from approaching from behind and interrupting conversation. 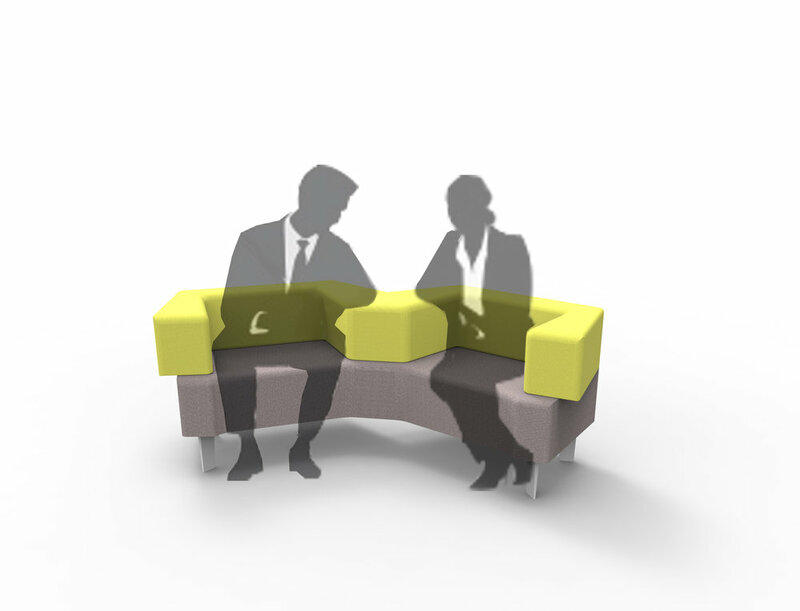 Thus, this version of the Posture with shoulder-height panel integrated to the back helps to provide that privacy. Posture provides a wide range of settings that support collaborative activities.